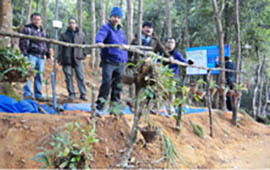 ICIMOD has designed and installed a prototype of a community-based flood early warning system at ICIMOD Knowledge Park at Godavari. Using this prototype, the flood warning signal is transmitted using wireless technology to the receiver downstream, where the warning can then be communicated to those at risk. 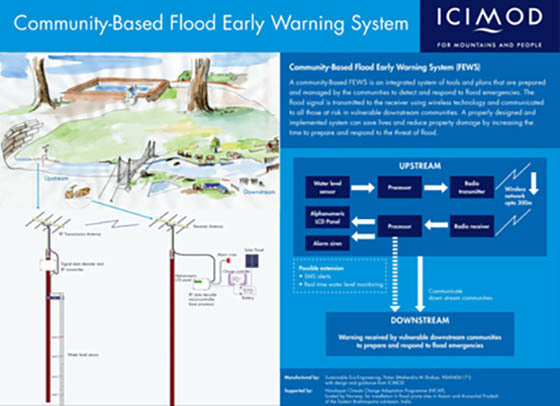 A properly designed and implemented system, which integrates monitoring and flood detection tools with response plans prepared and managed by local communities, can save lives and reduce property damage by increasing the time available to respond to floods. 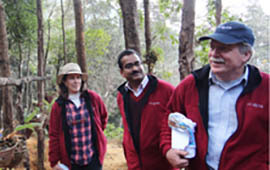 After field testing, this system will be replicated in project sites under the Himalayan Climate Change Adaptation Programme (HICAP). The prototype consists of a flood-level sensor, signal processor, and transmitter, which are placed in the river site. A signal receiver, processor, and alarm siren are placed in one of the houses in the upstream community. Rising water levels are detected by the sensor and a signal is wirelessly transmitted to the receiver. Each received signal is displayed in the LCD panel of the receiver. When water levels reach a predefined risk level, the siren will sound an alarm. 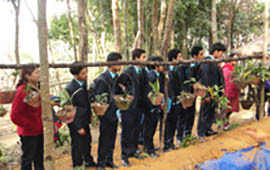 With technical support from ICIMOD, the prototype was manufactured and installed by the Sustainable Eco-Engineering (SEE). 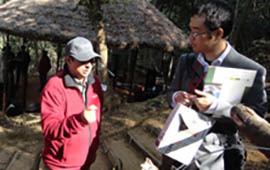 The field test was initiated during ICIMOD’s Green Solutions Fair on 8 December. 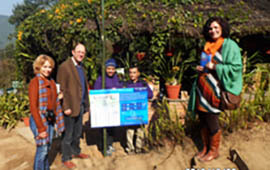 After installation in other sites, testing will be done on a daily basis before being implemented in local communities. In addition, training will be provided for the installation, operation, and general maintenance of the equipment at the local level.